New Rewards Event Coming to Legacy of Discord! 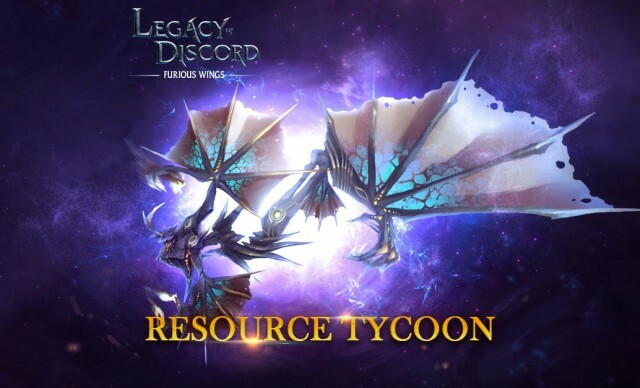 Legacy of Discord is introducing a brand new rewards event to our players! From Nov 4th to Nov 7th, the new Resource Tycoon will be online. By competing to collect resources, players have a chance to win the brand new Wrathwing, Demon! - Click on the Tycoon icon at the top of the main interface to enter the Resource Tycoon screen. - Players will earn points by collecting required resources during the event, i.e. Augment Stones, Gems, Enchanting Stones, Reforging Stones and Gold. You simply have to play the game to earn points! - Each day at 10:00PM, daily rewards will be determined by each players current points ranking and sent to them via in-game mail. - There will be a grand prize at the conclusion of the entire event. The Top 5 ranked players will win fragments for the newest Wrathwing, Demon! A powerful Demon Lord once terrorized the lands to the west. After humanity suffered countless losses at his hands, a group of elite Guardians was formed and dispatched to end the demon’s reign once and for all. A bloody battle was waged for 4 days and 4 nights until the Demon Lord was finally slain. His wings were ripped away and displayed in Celestial City to celebrate the Guardians’ victory. From those wings, the new pair of Wrathwings were created. This new Wrathwing now supports the Guardians and mankind in their struggle against the Demonic Legions. 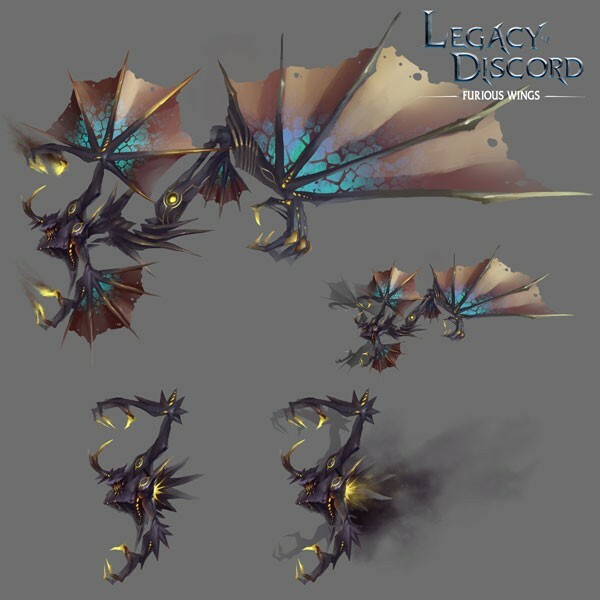 Play Legacy of Discord - Furious Wings now and participate in our special event from Nov. 4th to Nov. 7th to claim this diabolical Wrathwing! Stay tuned for even more great content coming soon to one of the most popular free to play action RPG’s of 2016! Note: Resource Tycoon will only be available on older servers from Nov. 4th to Nov. 7th. New servers (those that opened within 15 days) will have to wait a bit before seeing the event.